Experiencing clutch problems? We come you for all service and repair and all car makes and models! Is your clutch causing concern? Auckland Mobile Mechanics provide all clutch repairs and car repairs Auckland wide and all car services for all makes and models! Call us on 0508 247 273 for urgent breakdown assistance! If your car is having any of the following Clutch Problems it’s time to have your car seen to immediately: Any of the above clutch problems then any further driving is likely to cause more damage to your clutch and may escalate into an expensive repair bill. 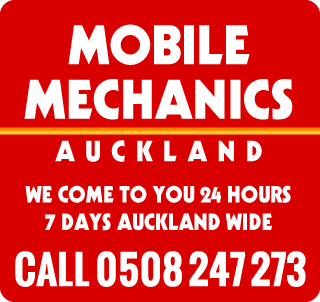 No matter where you are in Auckland Mobile Mechanic can come to you 7 days 24/7 a week to fix your clutch concerns! Clutch slipping problems tend to be the most common clutch problem. Slippage is usually caused by: A worn clutch disc Damage through age Heat even by Poor driving, and most of the time the clutch needs replacing. With Clutch Chadder problems, where a vibrating or grinding noise when engaging the clutch, or the clutch does not move smoothly and ‘grabs’ abruptly when you release called clutch grabbing or you may be experiencing the clutch not releasing: shifting gears is difficult or you cannot engage the gears at all. If your car shudders when you take off in first gear, especially when reversing, you also require this looked at by a mechanic. Auckland Mobile Mechanics specialist technicians are friendly, professional and keen to get your car repairs Auckland to the highest standard and we offer you peace of mind with a Workmanship Guarantee. We Specialise in Clutch Problems, with Mobile Mechanics available 24/7 Auckland wide! If you would like to contact us about our Clutch Problems offer call us on 0508 247 273 now to speak to one of our friendly staff!